It will be interesting to see what the tapes hold. I strongly suspect the tapes will be a reflection of the lady that the world always knew her to be. 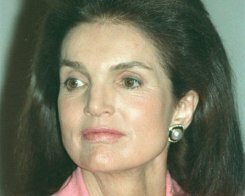 Conspiracy theorists, historians and legions of Kennedy buffs are on edge ahead of next month’s release of recordings by Jacqueline Kennedy in the wake of her husband’s assassination. President John F. Kennedy’s widow taped herself in eight hours of conversation with historian Arthur Schlesinger, Jr in 1964, shortly after JFK’s shooting, and stipulated that the tapes be sealed. The release, authorized by the Kennedy family in conjunction with the 50th anniversary of JFK’s inauguration, will take place in the form of a book and CDs, along with an ABC television network special, this September. Those in the know have said nothing concrete about the tapes’ contents.